LANSING, Mich. — Sen. Dale Zorn announced on Monday that he will conduct district office hours in Petersburg on Dec. 11 and in Tecumseh on Dec. 14. The Dec. 11 office hours will be held from 11:30 a.m. to 1 p.m. at the Summerfield-Petersburg Branch Library, 60 East Center St., Petersburg. The Dec. 14 office hours will be held from 11:30 a.m. to 1 p.m. at the British Tea Garden, 112 E. Chicago Blvd., Tecumseh. 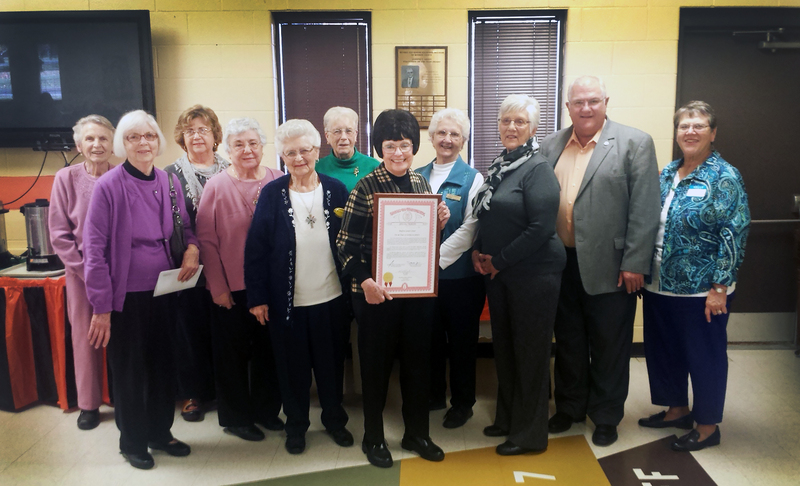 LANSING, Mich. — Sen. Dale Zorn, R-Ida, joined residents and staff on Sunday, Nov. 15 to celebrate the 44th anniversary of the Bedford Senior Center. Zorn presented a special tribute to Executive Director Diane Carroll (holding the tribute) in honor of the center’s 44 years of serving area seniors. 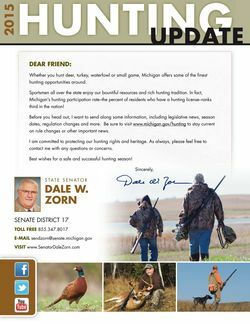 Editor’s note: A print-quality photograph of Zorn is available by clicking on the image or by visiting the senator’s website at: www.senatordalezorn.com. Click on “Photowire” under the Media Center tab. “This is a simple and responsible approach to fixing our crumbling infrastructure. Once fully phased in, it guarantees $1.2 billion of additional funding for addressing Michigan’s transportation problem. “This balanced proposal will fix our roads while protecting lower income families by expanding the Homestead Property Tax Credit and limiting the growth of government by reducing the income tax every time state growth exceeds the rate of inflation. Had the income tax rollback been in effect this year, it would have cut the rate for 2016 from 4.25 percent to approximately 3.96 percent. “The plan makes reforms to reduce the cost of repairs without sacrificing quality by ensuring the bidding for infrastructure projects is more competitive and demands that road work is warrantied to last. LANSING, Mich. — Sen. Dale Zorn will conduct a coffee hour in Lambertville on Friday, Nov. 13. Coffee hours are open to residents to express their opinions or concerns about state government or to request assistance with a state issue. The coffee hour will be held from 8:30 to 9:30 a.m. at Tim Hortons, located at 3309 W. Sterns Road in Lambertville.